Home » Shopping » How to Stay Safe When You’re Out Alone? We know that we’re not living in a perfect world where everyone respects each other. Hence, it is always important to be prepared when you’re going out alone. It doesn’t really matter if you’re a woman or man because anyone can be attacked or mugged in the streets. Imagine you’re on a walk in the late evening and you feel that a gang of men is following you. You look around and there are no possible places to go in and your car is pretty far away. Are you going to run? Well, many people would have had such bad experiences at some or the other point in their lives and it can be emotionally scarring. Just because there are some evil-minded people out there, you don’t need to restrict yourself from having fun or living the way you like as long as you’re prepared to face such situations. If you’re mentally and methodically prepared to deal with such unexpected situations, you can always feel free when you’re out alone. You feel more confident and you can be at peace. Here are a few things you must do when you’re out alone so that you’re safe. You should always carry a pepper spray and a pocket knife with you when you go out alone. 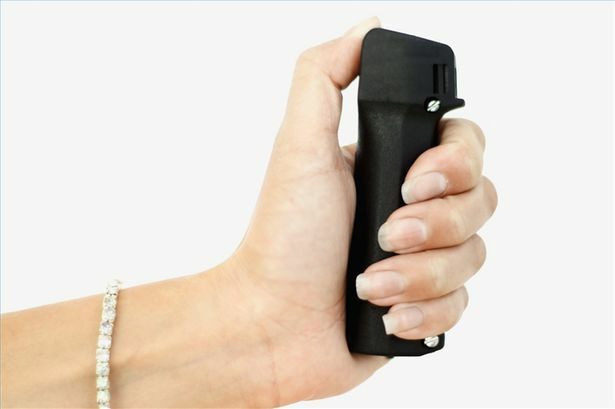 You can buy the best self-defense pepper spray online or at a store very easily. It does not cost a lot and it is compact enough for you to carry it around in your purse or pocket. In case of emergency, a personal security app will let your loved ones and the police know your location and that you need help. When you’re out alone, try to avid shady corners that aren’t lighted properly and that aren’t very visible to the public from the outside. Parking areas can be a really scary place because there aren’t many people over there. In case you want to get inside your car, keep your keys ready and do not dig from them in your purse while standing outside the car. Try to be around people as much as possible. Attacks never really happen when there are people around you. It’s very important to learn a few self- defense moves so that you can tackle an attacker. If you feel that you’re followed, no matter you’re walking or driving, stop and get into a restaurant or a shopping mall where there are a lot of people. Do not hesitate to seek help from others in contacting the cops if necessary.